College English professor and sometime amateur sleuth Alison Bergeron would've been thrilled to hear that her husband, NYPD Detective Bobby Crawford, was leaving Homicide if that were the whole story, but it turns out that Bobby's next assignment is even worse---undercover. As if worrying about his involvement in a case he won't talk about at all wasn't bad enough, Alison is forced to take over the women's basketball team at St. Thomas after the coach dies of a heart attack during a game. She may not know much about basketball, but she's no stranger to sleuthing, and it isn't long before she suspects that the coach's death may be more than unexpected but premeditated as well. 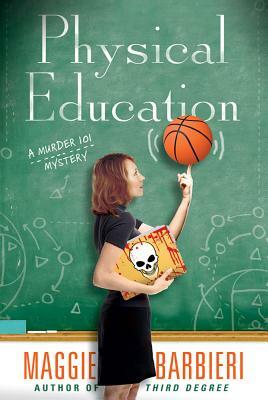 With Bobby deep undercover and Alison always on her way to deep trouble, it's only a matter of time before they run smack into each other in Physical Education, the latest in Maggie Barbieri's charming Murder 101 mystery series.